ABOVE: Ken worked on Soarin’ Around the World for Walt Disney Imagineering. Courtesy The Walt Disney Company. 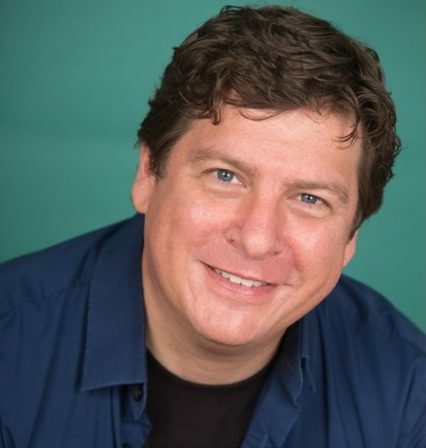 Ken Saba has just joined the media department at Universal Creative in a full-time capacity, after many years of serial, freelance contracting as a film/TV editor and media producer. As this was being written, he was in the process of relocating from Los Angeles to live in Orlando with his wife, Michelle. His most recent accomplishments include being the media editor on Soarin’ Around the World, for Walt Disney Imagineering, and on a new attraction for Ferrari Land at PortAventura (Spain), produced by Mousetrappe. 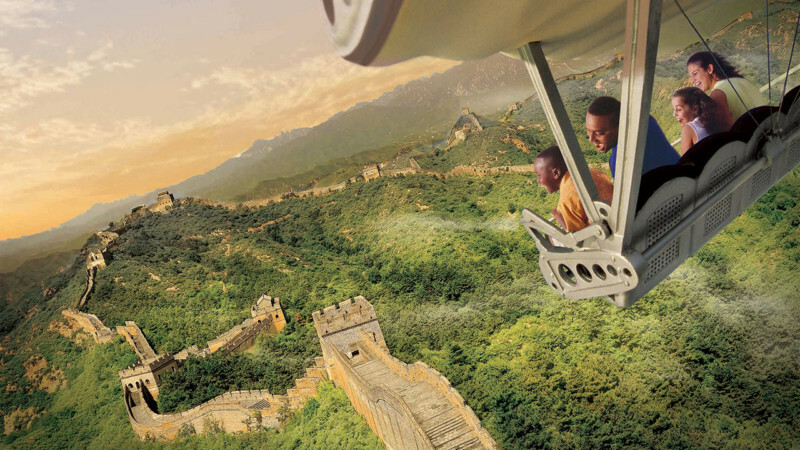 First, tell us about Soarin’ Around the World. There’s an ironic backstory. In 1998 at Walt Disney Imagineering, during a semester off while I was working as an assistant editor, the late Tom Wright, who was in charge of film distribution, told me about this great project coming up and encouraged me to stick around for it. However, I was partway through getting my degree at the Art Center College of Design in Pasadena, and had to go back so as not to lose my placement. It was a tough decision. I remember telling Tom, “I’m going to kick myself for this.” The project was Soarin’ Over California. I would have been assistant editor. But there I was, 18 years later, the editor on Soarin’ Around the World. If it doesn’t happen now, it’s gonna happen later! Life is a funny thing. I’m glad I did it this way – I’m a different person now than I was then, and came in with the experience and ability to be the one and only editor on the project, working with the highest caliber people. It was a humbling experience. There are days when I’m in awe, and can’t believe I get to do this. What does a media editor do? Editing is a lot more than slicing and dicing. It is a creative job, a technical job and a managerial job. Regarding the creative and technical: You connect pieces of a puzzle into a cohesive story. In themed entertainment, you’re working on a one-off project where those pieces fit into a non-standard format. You ask: How do we get this to work within this scope, within this medium? How do we tell the story in a way that immerses the audience, the guest, into the story? Regarding the managerial aspect, on a media-centric project – where the attraction or show has media as a huge part of the experience – the editor is at the center of the storm. Managerially you have to work with all the different groups to get it to work: ride programmers, show programmers, lighting designers, audio people. You are all pursuing a common goal: to give the best possible show or adventure. As an editor, your job is to make everybody’s life easier. Experience gives you the ability to see problems before they happen. Your job is to correct that problem you see down the road, before it becomes a problem – get the hurdles out of the way so the process is coordinated and it becomes effortless. How does that compare to being a media producer? There is overlap, of course. The media producer’s role is about making sure everything from pre-production to post production is done as it should be. The media producer is there for the whats and the whys; everyone else is there for the hows. What I do as an editor is all three: the whats, whys and hows. Tell us more about the whats, whys and hows. What you bring to the job depends on your experience. I started out doing videography for NASA. Television was changing very fast at that time, and you had to be on top of stuff. It helped me learn to foresee things – not to second-guess, but to foresee, to be that future teller – to know what we can and can’t do, how we can push the limits. For me, being an editor is being hands-on and being methodical. I was media editor for BRC Imagination Arts working on “Ghost of the Castle,”  a media overlay for the Louisiana Old State Capital in Baton Rouge. It helps to probe for the intention – not challenging, but needing to understand the vision. On “Ghost,” we were looking at the first cut. Bob Rogers wanted something changed, and when asked, he explained to me that he needed a particular, dramatic moment. He wanted the audience to understand how powerful this moment was, wanted them to feel how the people love their old state capital. He was being true to the way the project had been pitched. When are you typically brought onto a project? Sometimes I’m engaged during the development stage to work on the story reel or animatic when they are trying to get the timing of the story down and have that to show to the client. At other times, for various reasons, I am brought in at mid-production – in which case it becomes a sprint for me to catch up with everybody. Tell us about the hands-on part of editing. The media is coming in and I’m piecing it together, making sure it flows within the content. I’m still asking questions: about cycle times, guest capacity, operations stuff, throughput. Yes, all that is part of my job too! As an editor in TV, working on episodes, every network has requirements on total run time and various other things such as the number and length of acts within an episode to allow commercial breaks. I have to know and implement that, from one draft to another refining the time to fit within those logistics and technical requirements. In themed entertainment, the same thing applies in terms of knowing how to get to the desired end result. Equipment wise, it’s different from project to project. On The Soul of Nashville, produced by BRC  for the Ryman Auditorium, I used my own equipment to punch out scenes that would be projected on the wall to work with other media. More recently, working with Walt Disney Imagineering as the editor on Soarin’ Around the World, I was working with their edit bay. The media was coming from several sources. It started with WDI’s own camera team; while they were on location, we were being fed footage, and the director and producer were communicating with the camera team. The process for Soarin’ was almost like a documentary; you did not know just what you were going to get because of how local conditions would affect the shoot. But this was a production team at the top of their game, we would get the footage back, and artistry would come into play. In themed entertainment, the editor is very much at the center of the storm, providing material to everybody but also getting material in, and working closely with the producers. It’s a very synergistic, collaborative position. As you are getting feedback you emulate the wants and desires. Do you do special effects? Sometimes I am the one doing the effects, and other times it is other companies. If it is being handled by other companies, I provide information to them as soon as I have the editing figured out: from what frame to what frame, speed, etc. – like handing a musician sheet music so they understand the notes they have to play. To get this information, I talk to the producer, directors, whomever has the vision. I started off in college as a film animation student, fell in love with the tech side of film and TV. I got out of animation because I didn’t have the mindset to be that kind of illustrator, and the tech side became my focus. I interned at the NASA Ames Research Center in Moffett Field – and through that year-long internship had amazing mentors who showed me how to use the camera, the artistry of lighting and sound, how you make it all come together within a shot. It was very hands on from day one. That just fueled my interest in the tech aspect. The internship led to a five-year contract position as a videographer for NASA when I graduated from DeAnza College. During that time, I decided I wanted to learn more, and that’s when I quit and enrolled at Art Center to focus on the creative and business side of film. At Art Center, I came across mentors who influenced me greatly: Tom Thordarson and Bryan Jowers (Illustration/Entertainment Design) and Brad Saunders and Jim Engelhardt (Screenwriting). They encouraged my experimental side – I liked to play in film and TV but utilize it in places not normally thought of – somehow, all my stuff went back to theme parks! I was offered scholarship for “9th term honors” which is an extra semester after you graduate in which you can take any class in any department. It was a chance to really experiment. This was in 1998, and I was advised to apply myself in themed entertainment. I had already dipped in, of course, with the assistant editor work at WDI. I went back to Art Center for a Master’s in Film Entertainment Design. Graduation was followed by years of working on reality shows, documentary series, and one independent feature. I loved telling these unique stories to audiences and playing with the media, and got back to themed entertainment with Ghost of the Castle for BRC. What are some changes you have seen in the technology and process? Frame rates are one. When I was studying TV in the late 1980s, frame rates were based on is-it-film or is-it-TV, and where-is-it-screening. Countries had different standards. Now it is about what you want people to experience. Companies are striving for more realism, and the flickering image on the wall has transformed. Now it’s not just how many frames per second, but is it going to work with my edit bay and the playback systems, and if not, how is it going to? It always comes back to what you want people to feel at that moment – and the tech limitations. The technology itself, of course, is more and more accessible than in earlier days when you had to go to a studio or company and use their edit bay. Now anyone can go buy a workstation and the software to do it. The question is: rendering time! Also, owning the equipment doesn’t make you into a filmmaker. I love what Avid, Apple and Adobe have to offer. To me while the hotkeys are different they kind of all do the same thing, so I just go with what the company is using. They’re just different flavors. You have to be adaptable to whatever is at your disposal. The industry is very intoxicating and inspiring, and I have had the opportunity to work with some great people. Two that stand out in my mind are Scott Sohan and Marie Colabelli. Scott is an editor and tech guy but does a lot more than that. I learned from him that you follow a process, but at the same time you have to be ready to improvise and think fast, to be adaptable when something just doesn’t work. Scott taught me to always be about solving the problem. Marie, as a producer was given a daunting task: to be the media producer for Soarin’ Around the World. She was able to take what she had professionally accomplished with film and TV and apply it to this medium – and, once again, improvise when it was needed, get it to work and make sense. She was always calm and collected and in sync with the logistics of things; always about what’s best for the project.